At Gain Theory we believe that Marketing is the engine of profitable and sustainable business growth. We know that marketing is the key differentiator for brands today and can be the key weapon at our disposal that will drive growth. Driving the effectiveness agenda and overcoming the short-term trends, with a focus on the KPIs and metrics that really matter. Why should the C-Suite care? What is the size of the prize if we can get this right? 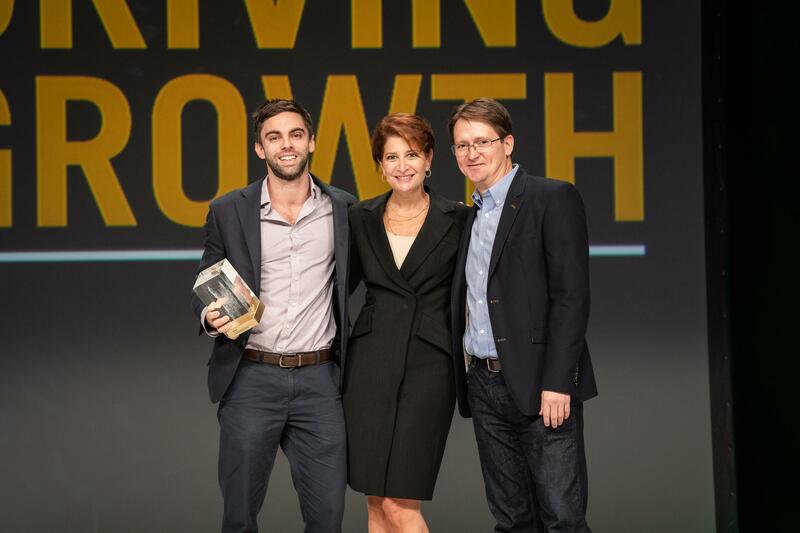 Diageo North America, one of Gain Theory’s long-standing clients, scooped the Data and Analytics Adoption category in the ANA 2018 Genius Awards. The award represents the best, brightest, most innovative and impactful work in marketing analytics today. In their award-winning entry Diageo demonstrated how they were able to leverage granular insights gained by Gain Theory’s Multi Touch Attribution solution Sensor, as well as demonstrating cultural alignment around data and analytics to boost business outcomes. Diageo has had market mix modelling embedded within the business for a number of years. However, they were looking for enhanced insights to allow them to make tangible, informed in-campaign decisions. Trialing Sensor allowed Diageo to leverage in depth analysis, alongside promotions, trade and much more. By leveraging Gain Theory’s Multi Touch Attribution Solution Sensor, Diageo have been able to get deeper overall optimization insights across 95% of their media spend. Watch the entry video on the ANA website here. If Marketing is the engine of business growth, the boiler room of decision making requires a ‘best-in-class’ effectiveness strategy. Having the right Marketing Effectiveness Strategy will help create the right culture, make the right decisions, avoid wastage and maximise impact. Focus on what really matters and create strategies that will ensure Marketing Effectiveness becomes an established part of how you do business. Lead change within the organization by creating the political and emotional fuel required for the journey; adopting a crawl, walk, run approach; and having the right ecosystem in place. Many organizations struggle with Marketing Effectiveness. Indeed, many are still trying to figure out which adverts are working; and how marketing in a broader sense, beyond advertising, is helping generate business growth. This paper has been created by Gain Theory and commissioned by EffWorks, an initiative that champions accountability in marketing and promotes a culture of Marketing Effectiveness from C-Suite, all the way down through organizations. The purpose of this paper is to generate momentum and direction around Marketing Effectiveness Strategy – to help marketing and insight executives maximise the impact of marketing. In creating this paper, 40 senior marketing and insight executives from a cross section of leading brands were interviewed, representing a UK advertising spend of more than £7bn. Watch Jon Webb, Managing Partner at Gain Theory talk about why this matter really matters in today’s marketing world. Episode 2: How should a CMO think about Marketing Effectiveness? Episode 3: How can we drive business growth through Marketing Effectiveness? Episode 4: What is the Journey to best-in-class Marketing Effectiveness? In a world where there is a power hose of data and insights, how has that allowed marketers to be brave and challenge conventions to drive business growth? Have data and insights enabled marketers to take creative risks, bust pre-conceived myths and lead change? Marketing is the engine of growth for business. But ‘old rules’ no longer apply – the media landscape has changed, and the people we market to have new expectations. With access to data, insight and technology marketers are now in a position to be able to change the conversation and thinking inside their own organization. Manjiry Tamhane, Global CEO Gain Theory joined a stellar panel of senior marketing executives from Target, Universal Pictures and Diageo on stage on the Busting Myths with Data session at Advertising Week, New York on Oct 3rd. Chaired by Gemma Greaves, Global CEO at the Marketing Society, the conversation centered around brave & bold decision making, marketing leadership qualities and how marketing can lead change within an organization – all informed by data & insights. Marketers today are in the human behavior business so they need to understand not only data, but also compassion and connection. In the digital age, marketers are leveraging data, technology and analytics to not only better understand their consumers, but also develop a more impactful message and experience. So how do you build lasting relationships with consumers in the digital age? Join us for an incredible panel hosted by Wunderman and led by renowned psychotherapist, Esther Perel at the Cannes Lions Festival of Creativity on June 19 to find out. Join Gain Theory this June at the Analytics Summit 2018 in London – gathering practitioners from the very cutting edge of analytics to discuss how big data & analytics are shaping the future of organisational decision making. Brought to you by The OR Society, in association with the Royal Statistical Society, the Analytics Summit brings together experts in analytics, big data and data science from government, journalism, industry and academia, as well as exhibitors from analytics software providers, leading consultancies, and specialist recruitment agencies to deliver a one-day event as a one-stop shop for learning about how big data & analytics are shaping the future of organisational decision making. Filled with case studies, new innovations, and strategies on how to turn data, to effective decisions the Analytics Summit is a chance for Gain Theory and it’s storytelling mathematicians to connect with the wider data industry to share and explore ideas around organisational data-driven decision making. The Analytics Summit 2018 takes place at Institute of Engineering and Technology at Savoy Place, London, WC2R OBL on Tuesday 12 June 2018, from 09:00 to 17:00. As the media landscape continuously evolves, what was simple is now complex. Marketers are now faced with even more challenges, from allocating investments across multiple channels to gaining positive return on investment. So how can marketers bring on board the best-in-class partners for marketing analytics and consultancy, to help their organization meet those challenges? What questions should you provide, and what questions should you ask so potential partners can put forward the best solution? Gain Theory partnered with ProcureCon Marketing at the ProcureCon Marketing conference in New Orleans, where Jon Webb, Managing Partner at Gain Theory, spoke on stage about the latest tools available to help marketers understand marketing investment allocation across multiple channels, as well as how they impact ROI both tactically and strategically. To get your ‘Guide to Procuring Marketing Analytics and Consultancy,’ download the PDF at the top right side.